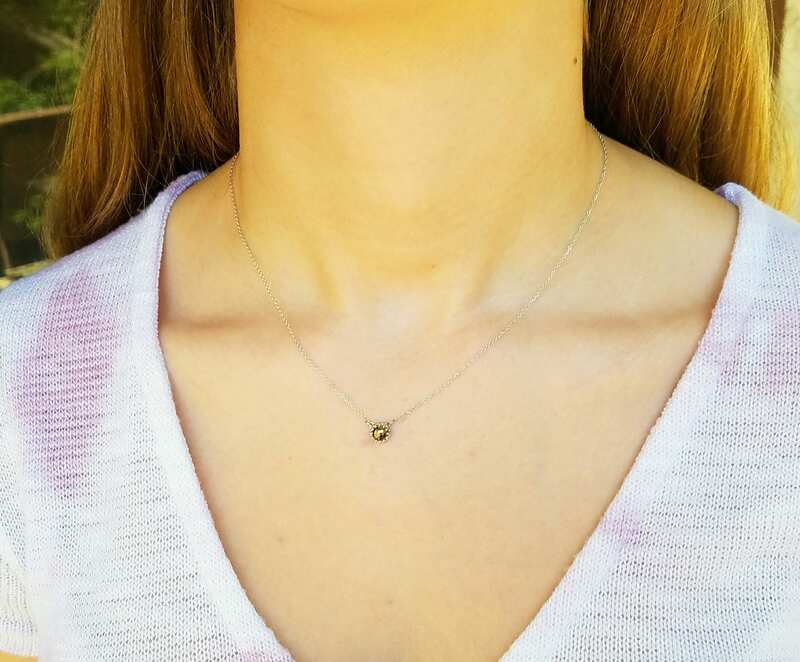 Rustic diamond pendant, Grey brown diamond pendant, Valentine's day gift, Dainty diamond pendant, Rose cut raw diamond necklace. 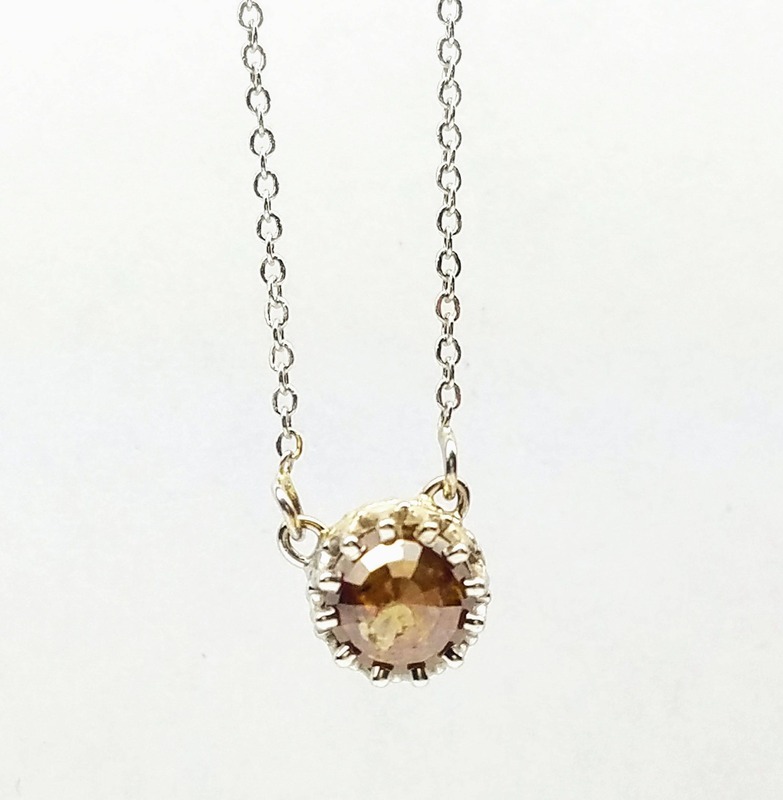 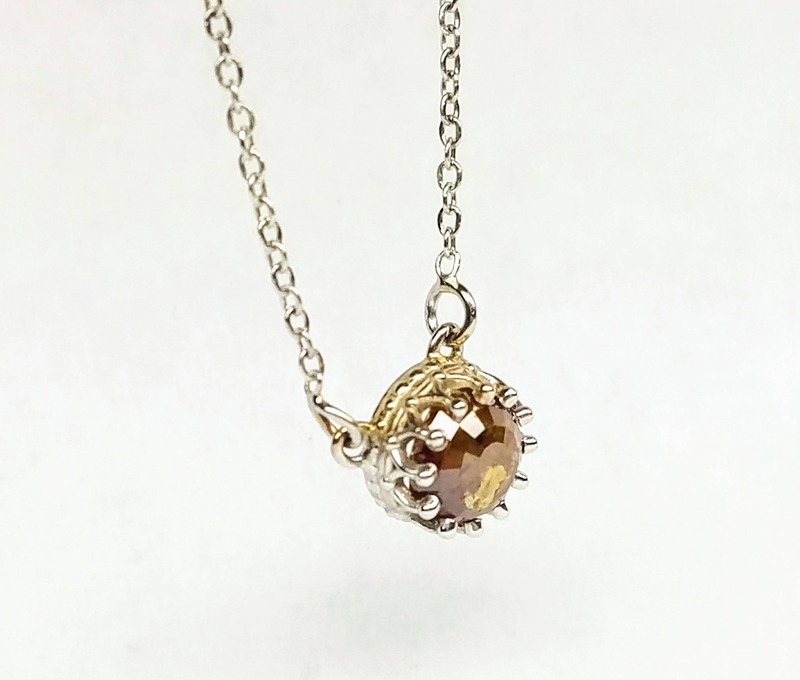 A very unique,dainty and cute rustic, raw diamond necklace great for everyday wear. 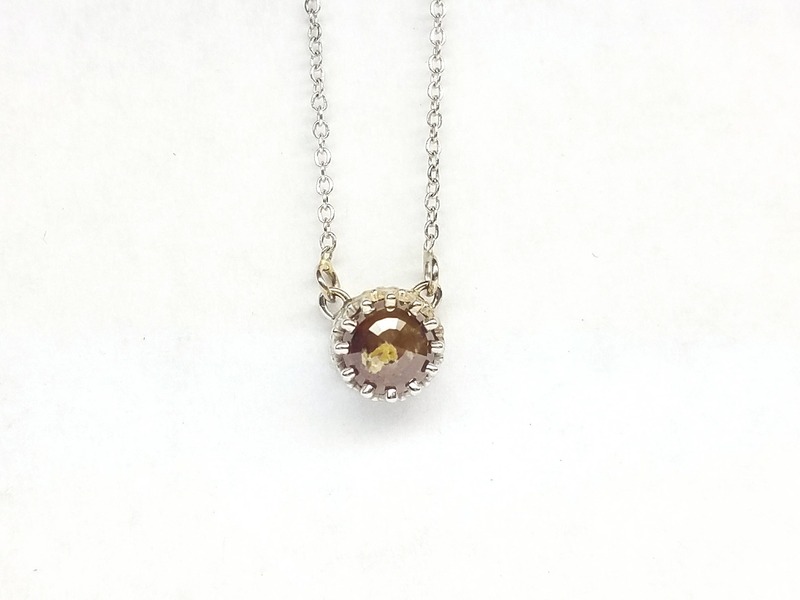 The diamond is 1 carat, 6mm greyish brown color with a grey spot in center, set in 14 kt white gold.